Today I am showing you a card I made for a friend who wanted a card for their Dads 65th birthday. The shirt was made by using a template I bought from Sharons Cards. 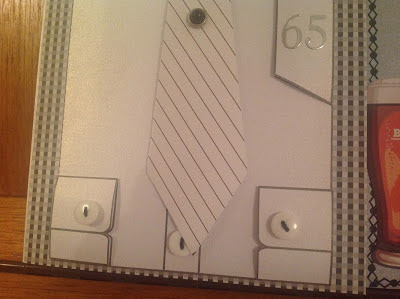 I used some striped paper for the tie and to trim the top of the pocket. 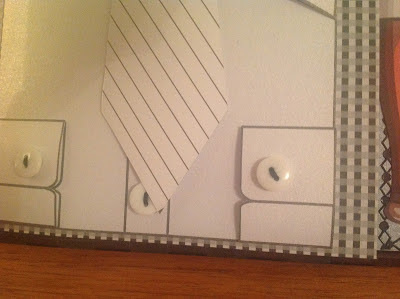 I had some shirt buttons which I stitched with black cotton and then glued to the shirt cuffs and one just under the bottom of the tie. 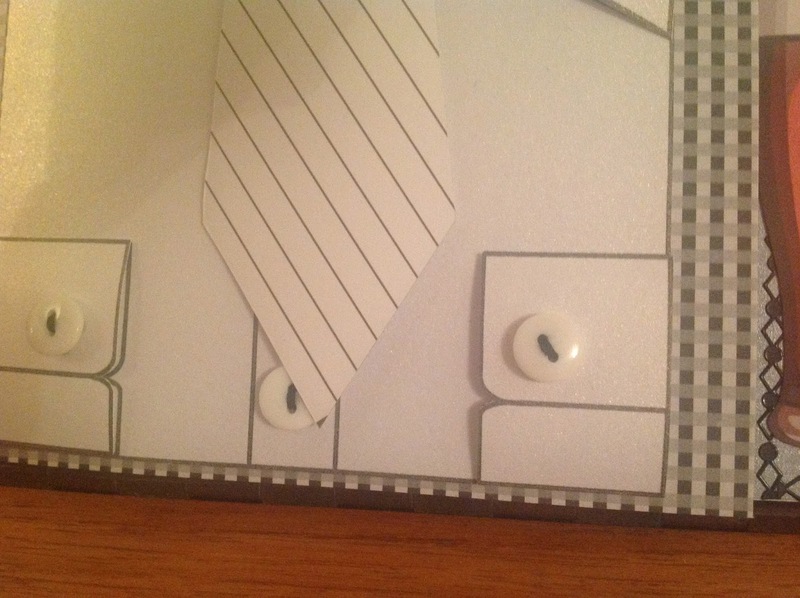 I had a black and silver brad so I used this on the tie so it would look like a tie pin. 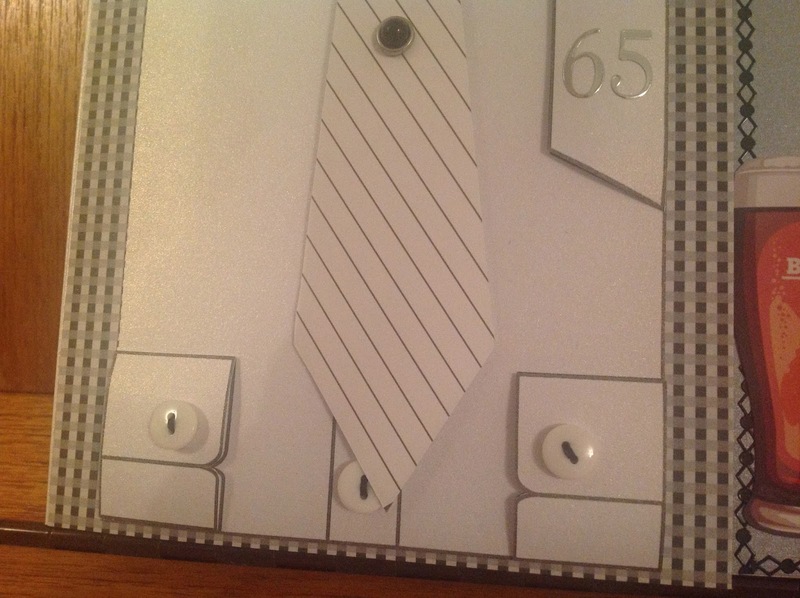 I put the 65 on the pocket using peel offs. 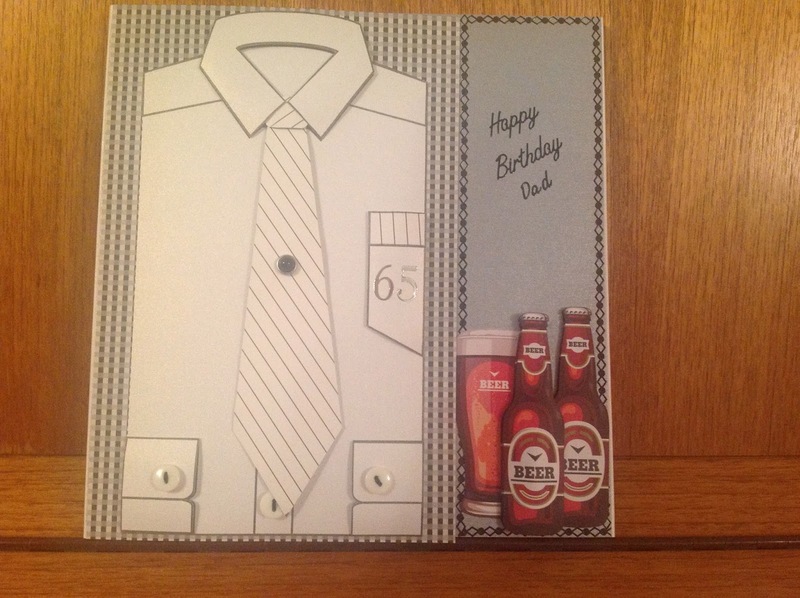 The beer glass and bottles of beer were from a magazine 'Making Cards for men'. 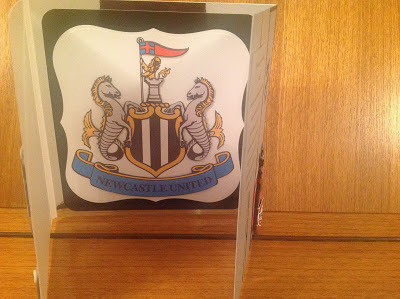 And then you open the other side and you find........Newcastle United football club emblem, as you may guess, my friends Dad is a football fan. 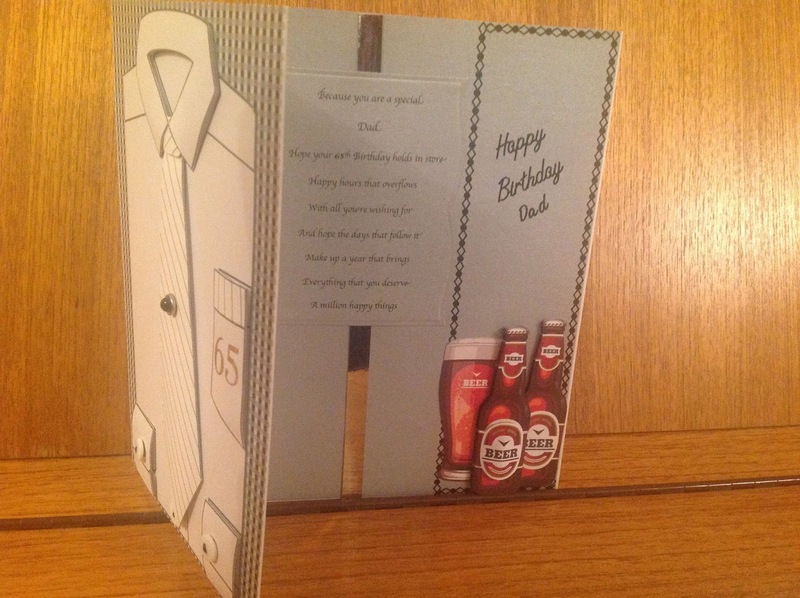 I liked making this card, as I do find it hard to make male cards. Hope you like it.